ContentEdits is an Infomedia creation that takes the mystery out of web site editing and restores web site control to you, the web site owner. A progressive application program, ContentEdits empowers anyone with the ability to easily edit his or her websites. Highlight, cut, paste, bold, underline, change fonts and colors, you can do it all in a few simple steps. 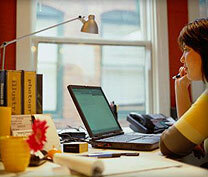 Most PC users perform these functions routinely in their word processing programs. If you fall into this category, then you are qualified to control your web site. This program eliminates the need for HTML skills. ContentEdits is not limited by your hosting site or programming foundation. There are no bulky programs or Active-X controls to download and install. And it has no geographical boundaries - changes can be made from any computer in the world. Though it is a very accommodating application, ContentEdits does not sacrifice security. You control the level of access within your company through passwords. Web sites are effective only when they contain accurate and timely information. Through this program, Infomedia empowers you with the ability to ensure that the information you want is on your site, when you want it there. There are no third parties to communicate with and your objectives are accomplished in an easy, stress-free manner. And ContentEdits is available without a large capital expenditure. For a nominal set-up charge and low monthly licensing fee, you can make instantaneous and unlimited adjustments to your site. So what are you waiting for? Don't be held hostage by your web developer's schedule and the "charge per change" syndrome. Take control of your web site today. Apply on-line and a representative will set you up. Or give us a call at 877-683-8458. If you prefer, give us your phone number and we will be happy to call you.